The popularity of Hyderabad as a residential hub is increasingly being evident from the fact that a large number of families are migrating to the residential complexes here. Prominent developers have come up with sophisticated estates in Madeenaguda in recent years. Evidently, investors and homebuyers are investing in the projects in Madeenaguda, Hyderabad. Good connectivity to the surrounding areas, commercial zones and places of entertainment ensure a seamless lifestyle here. The roadways, security facilities, and transportation system in the locality have been leveraged in the last decade. Altogether, a number of residential complexes are ready to welcome the home-lovers. One of the key benefits of moving to the apartments in Hyderabad is the easy availability of state transportation facilities. The buses connect all the important places in Hyderabad. Besides, the commercial importance of the city is another reason behind the rise in popularity of residential complexes. For decades, Hyderabad has been an important focal point for tradesmen. In the last couple of decades, the IT infrastructure has shown prominent development in Hyderabad. After Bangalore, this is one of the most important IT hubs of the country. Commuters in the city will find no hassle in reaching the commercial areas. Employment opportunities are also stupendous in Hyderabad. This is one of the reasons behind the rising price of the property in Madeenaguda, Hyderabad. Investors and homeowners willing to acquire an apartment in the area should invest now. The social infrastructure around the area is well-developed. A number of restaurants, shopping malls and multiplexes are located close to the residential complexes. You will have easy access to all these areas. Besides, several educational establishments and hospitals are located in close proximity to the locality. The important schools in the region include Genesis International School, Sancta Maria International School, Seeds School, and Bharatiya Vidya Bhavan's Public School. The important healthcare institutes in the area include Pranaam Hospital, Mythri Hospital, Archana Hospital, Citizens Hospital, KIMS Hospitals, and Apollo Spectra Hospitals. The Nehru Outer Ring Road connects the region to the outer important places. The residential complexes come with apartments that offer elegant interiors and sophisticated fixtures. The wide balconies and large windows ensure good ventilation in the rooms. The green surroundings provide a mesmerizing sensation to the nature lovers. People who prefer green living will also find their ideal abode here. The security facilities in the residential estates ensure round-the-clock safety and mental peace to the residents. The housing complexes remain under CCTV coverage. The residents enjoy uninterrupted power and water supply in their apartments. Apart from this, other sophisticated amenities in the residential complexes include a swimming pool, gym, cycling and jogging tracks, banquet, clubhouse, and meditation hall. Children have their dedicated play zones to enjoy their time. You will also enjoy various indoor and outdoor games. For investors and homeowners, the properties in Madeenaguda, Hyderabad offer a good mix of luxury, green living facilities, and comfort. 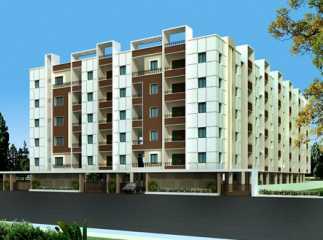 You may buy the 2, 3, and 4 BHK apartments and house in Hyderabad for commercial use or residential purposes. Enjoy the elegance and aristocracy that shrouds the residential estates in Hyderabad.